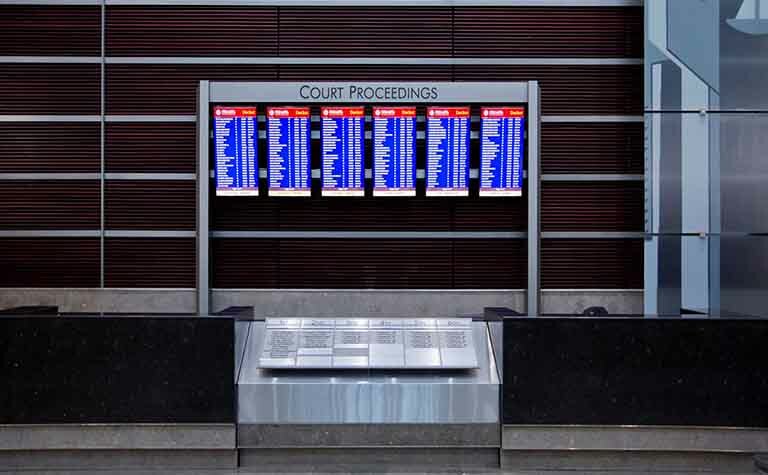 Use the Judicial Suite Navigator to help you figure out your court facility’s digital signage needs. We understand that you have a lot of choices when it comes to signage. That’s why Infax would like to make implementing digital signage an easy process. We offer a full suite of digital signage solutions, as well as an array of hardware, software and service choices, all of which can be customized to meet your unique needs. The Judicial Suite Navigator is here to help you begin this process. Just answer a short set of questions and the navigator will determine exactly what you are looking for in a digital signage solution. Afterwards, you will receive a complimentary evaluation and summary. 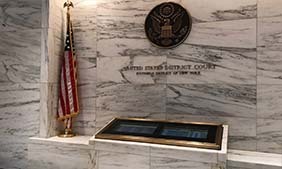 Use the Judicial Suite Suite Navigator today and take the first step toward your digital signage solution. 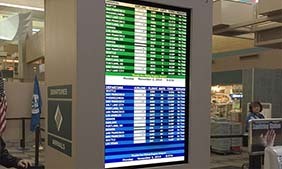 What would you like to display with your digital signage system? Check all that apply. What type of content do you want to show on your displays? "Content" can be any electronic file, including text, images, animation and audio. Check all that apply. Do you want to be able to show different content on your displays by location and/or time of day? How do you prefer to manage and control your content? How many locations will you be interested in installing the Judicial Suite? What case management system/juror management system(s) are you currently using? How many of each display size will you need? These displays are good for outside of each courtroom. 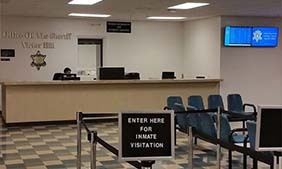 These displays are a good fit for smaller facilities with shorter viewing distance, or outside of each courtroom. These displays are suitable for slightly larger audiences. Perfect for Lobby or elevator displays. 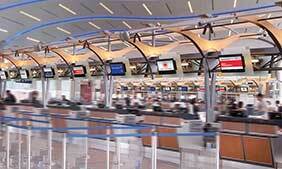 These displays are perfect for large viewing audiences in open areas. These displays accommodate large, open-areas with minimum viewing distances of 15 feet. 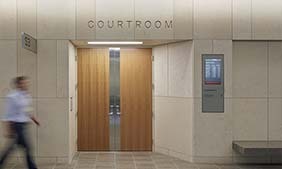 On-site evaluation to help design a digital signage solution that is tailored to your court’s facility needs and budget. Creative services to help create multimedia content such as personalized templates, customized applications such as taking building schematics and turning them into interactive maps or applying any Judicial Suite module to a current website. Training to manage network infrastructure and software applications. 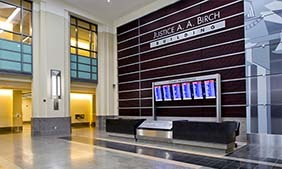 The Judicial Suite offers a fully integrated digital signage system for court facilities. We offer a turnkey system including hardware, software, and installation services; fully customized for the unique needs of your organization. For more information and/or a complete evaluation of your needs, request a Judicial Suite consultation now. Thank you for using the Judicial Suite system builder.